thanks to its rotating system, provides freedom of movement during treatment. 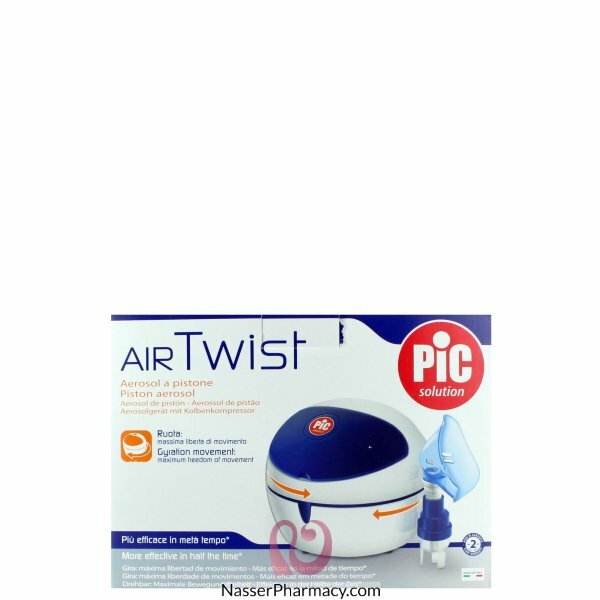 As a matter of fact, AirTwist rotates allowing the person using the aerosol to move around during treatment. The aidestream nebulizer caup guarantees that 30% more nebulised particles will successfully reach the repiratorry tract compared to traditional nebulizer cup.